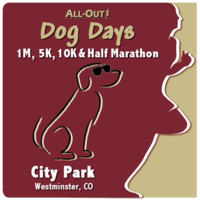 Get ready for some fun in the sun and a great mid-season test of your training as we bring our 7th Annual Dog Days 1M, 5K, 10K & Half Marathon! Centrally located between Denver & Boulder at Westminster’s award-winning City Park, along with its Endless Series sidekick in December… Fa La La, the beauty of our breathtaking Flatirons as a backdrop will inspire you every step of the way. Plus… Big Dry Creek Trail is well known as a Colorado favorite!